Ruhestand Weg is a truncated branch terminus in Austria, as is the present case; numerous branch lines have been closed fully or partially. In this particular case the line has been saved by the fact that there are a couple of large employers within the area and the rail provides a cheaper and more efficient way of their goods getting to market. The station has a small goods shed and the old steam shed which is still in use for the diesels between duties. Layout dimensions 13’x18” requiring operating space behind. Transport cost – layout designed to fit in 1 car – so basically fuel cost for travel. 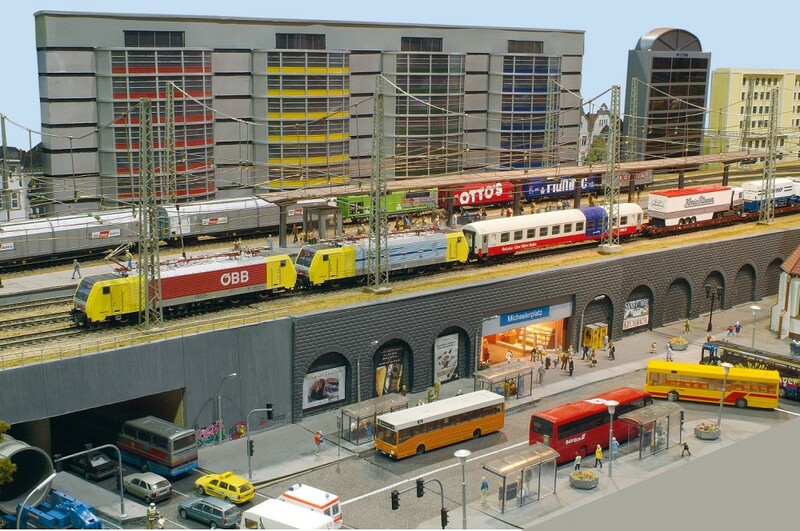 Layout is privately owned, being one of a multitude of layouts available from Carpenders Park Modellers.